As the nervous system controls all function in the body, it’s vital for children to get a good start in life by optimizing that function. Many people don’t realize how traumatic even a “normal” birth can be on the tender spinal column of a newborn, particularly when there are interventions used during delivery. These interventions include caesarean section, forceps delivery, breech positioning or suction devices used on the skull and the neck. Add to that the natural curiosity that babies and children have in the world around them. At Devine Chiropractic, we’ve all seen kids have their fair share of falls, bumps, spills, concussions, bike crashes and broken bones! These common pitfalls of childhood also lead to spinal alignment issues. 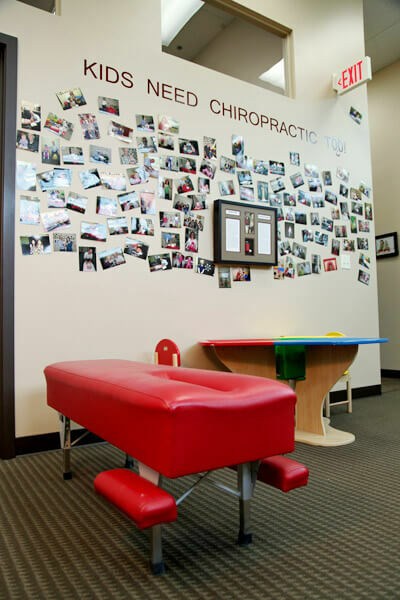 We welcome the opportunity to be your pediatric chiropractor. Parents place their trust in our safe and gentle care. Does your child have a problem we could help? Contact us today for a convenient appointment!